Dr. Meenal Agarwal, HBSc. O.D. Looking to have Lasik? Dr. Agarwal had Lasik in 2009! Ask her about her experience! 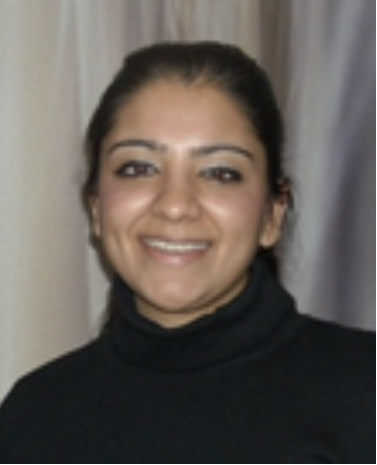 Dr. Meenal Agarwal is the owner of the Pickering Town Centre Optometric Clinic. She graduated on the Dean’s Honour List with her Doctor of Optometry degree from the University of Waterloo in 2008. She went on to complete an internship at the Parkland Health and Hospital in Dallas, Texas where she received extensive training in ocular disease management, low vision and contact lens care. Dr. Agarwal was awarded the prestigious William Feinbloom Low Vision Award in 2008 for aptitude and clinical care of low vision patients and was featured in the September/October 2008 issue of “Women in Optometry” magazine. As an active member of her community and professional networks, Dr. Agarwal is always seeking new information and advancements to better serve her patients. She is an active member of the Ontario Association of Optometrists (OAO) and is committed to increasing awareness about the importance of comprehensive eye exams and improving the future of eye care. Dr. Agarwal has a special interest in Laser Vision Correction/Lasik and was the Clinical Director at TLC Laser Eye Centers in Toronto. She also has an interest in complicated contact lens fittings such as Rigid Gas Permeable and Scleral lenses. Dr. Agarwal is passionate about helping to slow down the progression of nearsightedness/Myopia in children. She completed the training course, the Future of Myopia Management, and Managing Myopia by the Brien Holden Vision Institute. She is well versed in Laser Vision Correction and Myopia Management and loves to discuss options with her patients who are interested in either. Dr. Agarwal owns two other practices as well, Stouffville Family Eye Care and Pickering Town Centre Optometric Clinic. Dr. Agarwal is also able to perform eye exams in Hindi and Spanish. She is dedicated to offering the highest standard of patient care and welcomes new patients of all ages, starting at 6 months of age! Dr. Niloufar Ahmadpour received her Honours Bachelor of Science degree in Biology and Neuroscience from the University of Toronto and her Master of Optometry degree with first-class honours from Aston University, UK. She continued her training through internship at a practice in Truro, UK and at the NHS Royal Cornwall hospital, Treliske. Her training involved many specialized areas including ocular disease, low vision, binocular vision, pediatrics, contact lenses, diabetic retinopathy, neuro-ophthalmology and glaucoma. Dr. Ahmadpour has worked in an Ophthalmologist office in Toronto focusing on cataract and refractive eye surgery. She then underwent further education and training in Vision Therapy through the Optometric Extension Program where she practiced as a Vision Therapist in North Vancouver, BC. She travelled to Baltimore, Maryland and Winnipeg, Manitoba to focus on visual dysfunctions, strabismus and amblyopia. She enjoys treating a wide range of binocular vision dysfunctions, helping children with learning related visual problems and providing therapeutic management of traumatic brain injury patients. Dr. Ahmadpour is passionate about all areas related to ocular health and binocular vision and is devoted to learning and staying current with the latest research in eye care. She loves travelling, health and fitness, music and painting. Dr. Ahmadpour is a member of the Ontario Association of Optometrists (OAO), College of Optometrists of Ontario (COO), Canadian Association of Optometrists (CAO), and Canadian Optometrists in Vision Therapy and Rehabilitation (COVTR). 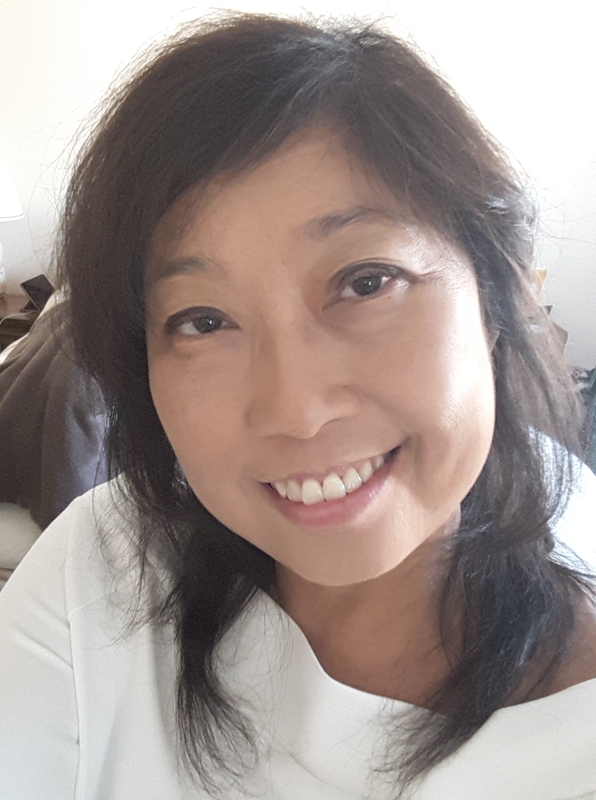 Dr. Melanie Hoo-Fatt attended Waterloo University’s Pre-Optometry Program and graduated in 1991 with a Bachelor’s of Science. She continued on to receive her Doctor of Optometry degree in 1995 from Nova Southeastern University in Florida. Soon after graduating she began her optometry career as an associate practicing at several clinics across the Lower Mainland in British Columbia. Working as an associate created a desire to open her own practice where she could focus on family eye care providing the everyday needs for all members and dynamics of a family. In 1996, Dr. Hoo-Fatt opened Eyetopia Optometry, in Maple Ridge, BC. Her practice included a full functioning eyeglass dispensary and laboratory, contact lens dispensary, for the visual needs of each patient, as well as visual field equipment and an OPTOMAP camera to assist in the health needs of each patient. It was Dr. Hoo-Fatt’s goal to create an environment of comprehensive eye care for each patient, as well as providing all the visual needs that an average family could want. Throughout her 20 years in private practice, she also established herself in the community of Maple Ridge with her passion for Hawaiian dancing where she taught and performed the art of hula. In 2016, Dr. Hoo-Fatt wanted to be closer to immediate family and made the move to Ontario. The same values and focus for family eye care has remained her driving force in her profession and she is looking forward to growing with the community of Thornhill through the Promenade Optometry Clinic. After receiving an Honours Bachelor of Medical Science degree from the University of Western Ontario, Dr. Amanda Atallah earned her Doctorate of Optometry and a Bachelor of Vision Science from Nova Southeastern University College of Optometry. Throughout her training, Dr. Atallah completed several internships that focused on ocular disease, binocular vision, pediatrics, vision therapy, low vision, and contact lenses. At her Special Population rotation, Dr. Atallah gained experience in working with patients with various intellectual disabilities, and volunteered in Special Olympics Eye Screenings. In her final year of Optometry School, Dr. Atallah completed an internship at Eye Center of South Florida in Miami, Florida. Throughout this internship, she worked alongside optometrists and ophthalmologists who specialize in cataract surgery, glaucoma management, oculoplastics and retinal diseases. Dr. Atallah is a member of the Ontario Association of Optometrists, Canadian Association of Optometrists and College of Optometrists of Ontario. In addition, she completed certification in both Canada and the United States to practice Optometry. In her spare time, she enjoys watching movies, travelling, going to the cottage as well as spending quality time with family and friends. Dr. Aqeela Naqvi received her Bachelor of Arts in English Literature with Honors from The College of New Jersey. She then went on to study at the State University of New York College of Optometry where she graduated as a Doctor of Optometry. Dr. Naqvi completed her clinical training at top-tier institutions in New York City — one of the most bustling and diverse cities in the world. Her various internships included rotations through the NYC Health + Hospitals system (Woodhull Medical and Mental Health Center, Gouverneur Hospital), and New York University Student Health Center. Additionally, she volunteered at the Bowery Mission, providing eye exams and glasses free-of-cost to the needy and homeless in NYC. Her training provided her with experience in primary care, contact lenses, pediatrics, vision therapy, neuro-optometry, glaucoma, ocular disease (including diabetes, hypertension, macular degeneration), and dry eye management. Dr. Naqvi believes in providing a friendly, respectful, and quality patient-care experience, taking the extra time with her patients to communicate more effectively. She regards lifelong study as essential for enhancing her knowledge and skills as a caregiver and believes in constantly challenging herself to growth in all spheres of life. Dr. Naqvi is a member of the College of Optometrists of Ontario, the Ontario Association of Optometrists, and the Canadian Association of Optometrists. She is able to provide eye exams in both English and Spanish. Dr. David Truong, HBSc. O.D. Dr. David Truong received his Honours Bachelor of Science degree from McMaster University with a double major in biology and psychology. He then went to the University of Waterloo where he graduated with distinction as a Doctor of Optometry. Throughout his training, Dr. Truong completed several internships that focused on ocular disease, binocular vision, pediatrics, low vision, contact lenses, and refractive surgery co-management. 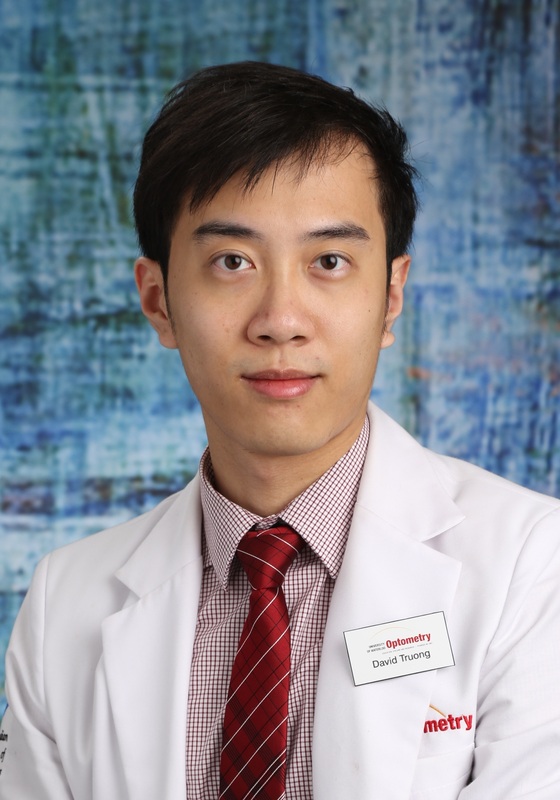 In his final year of optometry school, Dr. Truong completed an ocular disease and therapeutics internship at the Eye Associates of Pinellas in Florida where he received advanced training working together with cataract, vitreoretinal, and oculoplastic specialists. Throughout this internship, Dr. Truong gained valuable experience co-managing patients with ocular conditions such as diabetic retinopathy, glaucoma, macular degeneration, and dry eyes. Dr. Truong enjoys volunteering and has participated in an humanitarian optometric mission trip to Tela, Honduras. While in Honduras, he and several other I CARE International volunteers provided comprehensive eye examinations and prescription eye wear to the underserved, in an effort to improve the quality of life of residents by providing the gift of better vision and health.